For globetrotting sportsmen there is no end to the earth they will travel for a truly epic experience, Argentina being chief among them. The upper regions of Patagonia are a hunting and fishing adventurer’s dream that’s as spectacular as it is genteel. 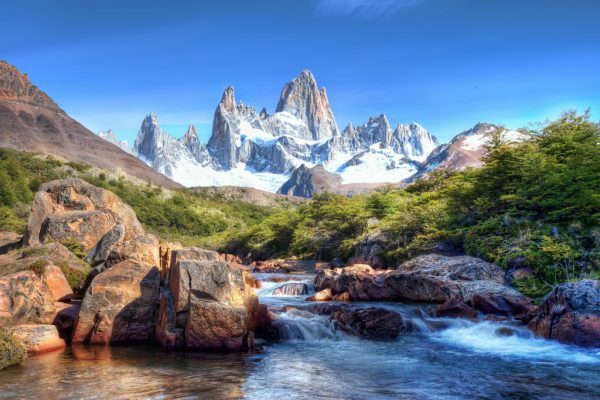 In a recent article for Conde Naste Traveler, author and photographer Matt Hranek details a week long trip to Argentina he took with his wife and daughter that sounds like a hunting and fishing dream. Because Argentina is in the southern hemisphere, their fall is our spring, so our spring break coincides with their hunting season down south. This makes a hunting and fishing trip to Argentina perfect for families with kids free from school. Beginning in Buenos Aires, they flew into San Carlos Bariloche on Patagonia’s Nahuel Huapi Lake, normally a touristy ski town but frequently mostly by hikers from November to April. From there they explored Bariloche and went condor spotting, followed by an elegant meal of fish with local white wine. The next day it was a three hour drive to Maita through one of the most picturesque stretches of Patagonia, which he said reminded them of Wyoming and Montana only more rugged and wild where wild horses crossed the road undeterred. The destination was Tipiliuke Lodge, which the author describes as a picture perfect hunting and fishing destination with an old-world feeling of sophistication. Partly the influence from Europe, hunting and fishing in this region carries a certain amount of class that is not always found in its northern hemisphere counterparts. “More than any country I’ve visited, Argentina is designed for the gentleman sportsmen,” Hranek writes. Along with stags and trout, the 50,000 acres of property are loaded with trails for hiking and horseback riding. After the hunting lodge, Hranek dropped his family off at the airport and continued to Cordoba for what he described as some of the best dove hunting in the world. There he stayed at Guayascate, where not only were the doves abundant but the relaxation and red wine. For the full story visit Conde Naste.